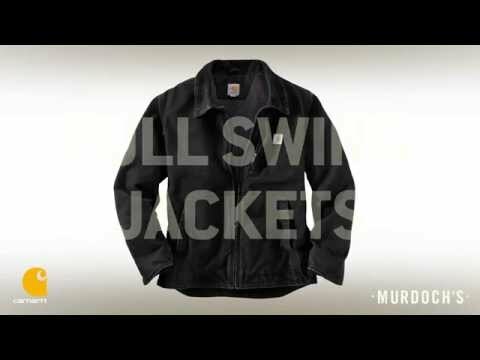 Once a year – during Murdoch’s Annual Carhartt sale in the fall – we carry Carhartt irregulars, such as pants, shirts and jackets. But if you can’t touch it, try it on, and inspect it for yourself, buying Carhartt irregulars online might be kind of intimidating. We’ve all seen some of those “outlet special buys” where the shirt is missing buttons, right? Real quick, we wanted to share a few tidbits about Carhartt that give us peace of mind. Here’s why we at Murdoch’s think that even when it’s marked as an irregular, if it’s Carhartt, it’s still a good thing to keep in your workwear arsenal. If we didn’t trust the gear, we wouldn’t sell it. Generally speaking, Carhartt irregulars must still function properly. All irregular items’ trim and hardware has to function properly. No irregular will be sold with holes in them. Minor holes will be repaired. If Carhartt can’t bar tack (bar tacks are reinforcement stitches) and cover a hole with a maximum of 3 bar tacks the item is destroyed. All repairs on irregular items must be secure so the item retains structural integrity during normal use by our consumer. All fabric is tested for shrinkage, tear, and tensile before being cut for sewing. Critical points of measurement are made on all finished garments before shipment. Most often, irregulars don’t pass Carhartt’s strict quality controls. As an example, Carhartt listed a fleece as irregular because it didn’t pass abrasion testing standards – it pilled much too easily. That said, it still functioned properly. And for the steep price discount, Carhartt irregulars are amazing values.